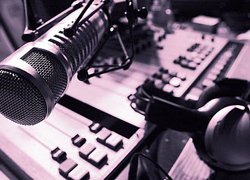 THE Broadcasting Authority of Zimbabwe (BAZ) chief executive officer, Obert Maganyura, recently revealed that they had shortlisted 18 applicants for local commercial radio licences. The BAZ has released the list of the applicants which shows that the pro-Zanu PF Zimpapers group which was awarded one of the national licences and now runs StarFM is also looking to set up another radio station in Mutare. AB Communications, previously headed by Zanu PF legislator and Deputy Information Minister, has also submitted applications for the towns of Gweru, Masvingo and Mutare. The company also owns the national ZiFM radio station. The struggling government-owned bookseller, Kingstons Private Ltd, is also seeking licences for Harare and Kariba. “Those shortlisted will be subjected to public hearings to determine their suitability to be licensed in terms of provisions of the Broadcasting Services Act,” Maganyura said in a statement last week. Kingstons trading as KE100.4 FM. Masego Multimedia Pvt Ltd trading as Bulawayos’ Finest. AB Communications Pvt Ltd trading as Faya FM. AB Communications Pvt Ltd trading as Gogogoi FM. FairTalk Communications Pvt Ltd trading as Breeze FM. Kingstons Pvt Ltd trading as Nyami Nyami FM.